What does it take to get you motivated? If your willpower alone doesn’t cut it, a gym buddy could be the answer – just make sure you choose the right one. It’s a raining morning, the clock has just struck 6am and you’re struggling to win your internal battle with the snooze button. We’ve all been there (and gone back to sleep), but imagine the same scenario if you’d arranged to meet a friend at the gym.. It’d be tough, but you’d wrench those cosy covers off, right? A recent study by the Women’s Sport And Sport Fitness Foundation found that 80 per cent of women don’t do enough exercise, but 64 per cent said that they’d do much more if they had some company along the way. It’s a solid theory – having someone to share the pains and gains with makes the idea of regular workouts just that little bit more palatable. You’ll need to consider your individual expectations, what each of you can bring do the partnership and how serious you are about meeting your goals. So that friend who’s great fun for a night out on the town? She’s probably not the same girl who’s going to keep you on the straight and narrow the morning after. The Combustible Competitive: They may appear calm on the outside but inside they’re like an over-inflated balloon fit to burst. They’ll go to any lengths to beat you, which will demoralise you – steer well clear. The Sergeant Major: This buddy likes the sound of their own voices, issuing orders until they have you cowering in the corner with their power games. They’ll do the workout that suits them and expect you to fall in line or fall out. The Self-Confidence Sapper: They just can’t help themselves – they’ll drip-feed you criticism until you give up. Their constant nit-picking at your technique is a mask for their own insecurities. They feel threatened by anyone they perceive to be better than them ad seek to bring you down. Don’t go there. If you’re looking for a source of motivation and someone to swap DOMS stories with, a long-distance buddy might be the answer. You could even join a fitness forum to plug into an instant network of encouraging friends. 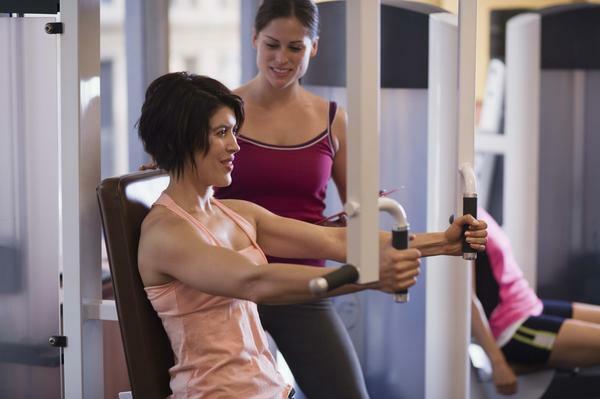 Either way, the qualities to look for in a great gym buddy depend on the level of workout you want, your personality type and what gets you moving. They say opposites attract, so an introvert who avoids leaving their comfort zone may benefit from an extrovert who will encourage them to try something new. And remember, there’s no shame in calling it quits. You can only be loyal and supportive if the relationship is fair and, most importantly, you both have a good sense of humor to help you slog it out through the tough times. Q Should I do cardio or weights first, and why? It depends on your goals! Always start with whichever is most important for you want to achieve. So, if you’re a swimmer, runner or cyclist and you do resistance training to improve your performance or event injury, and then it’s better to do your cardio or sports training beforehand, so you don’t use up your energy and hinder your performance. Likewise, if your goals are strength-based, you should do your resistance work first. If you’re looking to lose weight and tone up, it’s best to start with resistance, as this can require more coordination and precision. Q How can I fit in my fitness routine around my busy family life? Make the most of your children’s nap times and get out into the garden for a short 20-minute circuit session. Do some skipping or jumping jacks to get your heart rate up then launch into some resistance exercise (try a quick circuit of press-ups, squats and lunges). Do this three to four times a week and after a few weeks you should start to see results. Try upgrading your commute, too. Instead of using the car for the school run or to do your daily chores, try to walk or cycle instead. An active commute can fit into your usual schedule seamlessly. It’s also a good idea to involve your family in your exercise regime. Get everyone in the park on a Saturday for a big game of football, pop to the local pool for a fun swimming session or even head to the ice rink for some skating practice. It’s also worth looking around your local area to see if there are any parent and baby classes on offer to entertain your children and involve them in exercise. Q When it comes to protein, should I choose whey isolate or concentrate? The isolate form is purer than its concentrate cousin. It contains more protein and less fat and lactose per serving (90-98 per cent) versus concentrate (70-85 per cent). However, isolate’s purity doesn’t mean it will give you more muscle and size. Isolate is filtered more intensely, making it more readily available to the body and easier to digest. This means that you’re likely to suffer from bloating and discomfort while it’s absorbed into your system, so it tends to be more expensive to buy than concentrate. A good compromise is to buy a blend of both, so that you gain the benefits of isolate at a more reasonable cost. Q My clothes always stick to me when I sweat. Can you recommend any good fabric to prevent this? Wearing the correct clothes while training can make a real difference to your sessions. Ideally, you want to choose good-quality materials that breathe and stretch with your movements. This usually means man-made fabrics that are designed to work with your needs-wicking moisture away from your body, allowing heat to escape when needed and trapping it when desired. Bamboo clothing may offer a more natural solution.